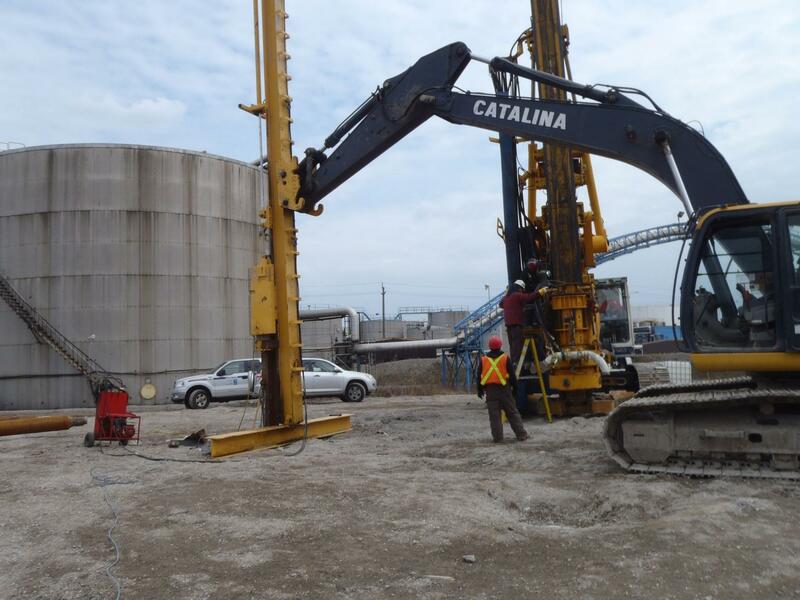 This project involved the construction of the Ruetgers Canada Inc. coal tar pitch storage tank farm. This project involved the construction of one, 87’ diameter, storage tank. 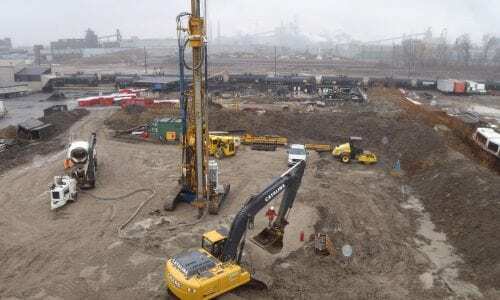 A geotechnical investigation revealed that prior to construction, soil improvement was necessary to support the fuel tanks and minimize potential total and differential settlements. 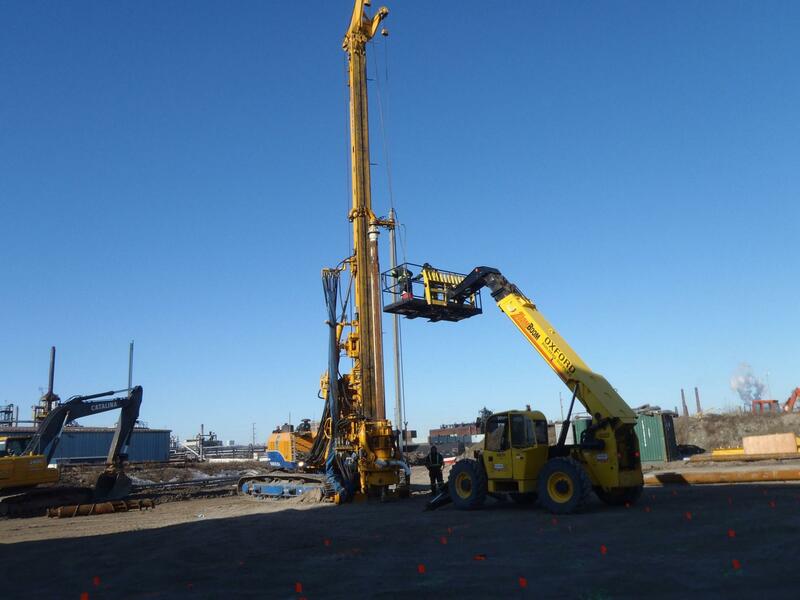 As an alternative to excavation, replacement and compaction, Menard Canada proposed a ground improvement approach utilizing Controlled Modulus Columns (CMC). These columns are a semi-rigid, vertical soil inclusion designed to create a composite material capable of supporting higher loading conditions than the soil alone. The ground improvement design, based on API650 requirements, consisted of installation of Controlled Modulus Columns to support the service load of 173 kPa in order to obtain the following technical specifications: Peripheral differential settlement less than ½’’ per 32 ft (12.5 mm per 9.75m) under 146 and 173 kPa, peripheral total settlement less than 2’’ (51 mm) after hydraulic load test (for a unit load of 146 kPa), and total long term settlement less than 4’’ (100 mm) under 173 kPa. 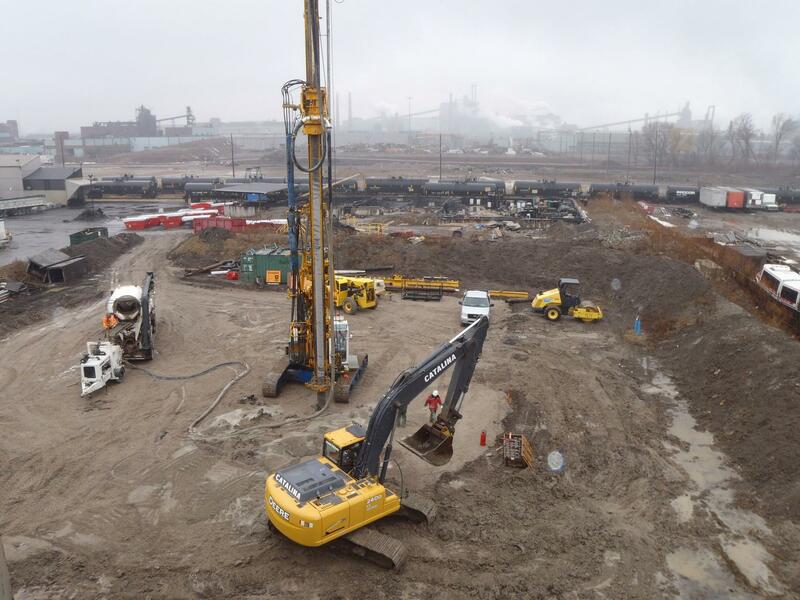 The total area improved using Menard Canada’s CMC solution was 552 m2. 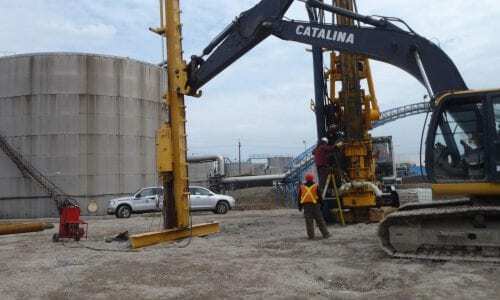 Based on Menard Canada’s design, a displacement auger drilled the columns to depths ranging from 16 to 18 m and injected high strength grout as the auger was retrieved. The work program of 213 CMCs was completed ahead of schedule, with all tests achieving better than the intended results. Menard Canada delivered a value engineering solution of soil improvement providing a cost-effective, reliable method appropriate for the project and for the site.